Akebono is a famous Japanese-style confection store. 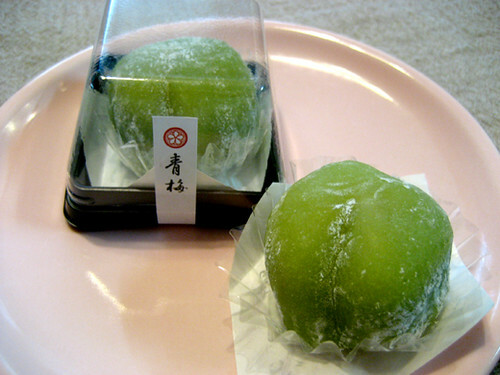 These are Japanese sweets that are called Aoume”the Japanese green plum” from Akebono. 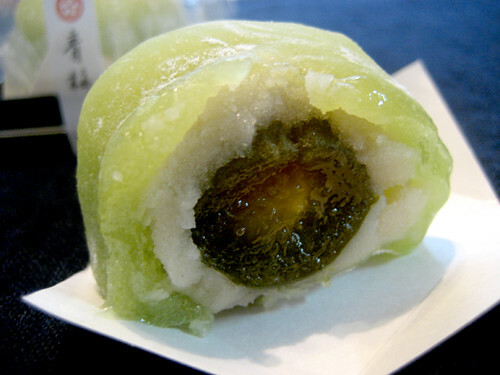 Aoume is honeyed Japanese green plum and sweet bean paste filling by gyuuhi (a mochi-like dough that is tender and easier to mold than mochi). The little sour Japanese green plum and sweet bean paste create the right taste and texture of this great seasonal sweets. These look delicious! Is the middle part what they put in bubble tea?